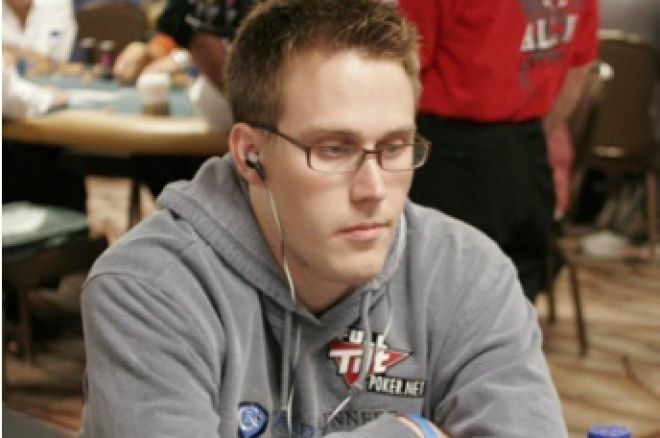 Taylor Caby was one of the first stars to rise out of the online poker world where he became infamous under the screen name, “Green Plastic.” Having gone pro during a time when there were no precedents set yet, Caby had to navigate his way by himself through the obstacles that came with playing poker for a living. Taking his skill to video, he founded CardRunners, one of the most successful online poker-training sites in the industry. While he hasn’t used poker as his only source of income for a few years now, he’s certainly familiar with what it takes to make poker a career. He talked to PokerNews about it. In your opinion, what sorts of things need to be in order before quitting a day job for poker? I think the most important thing is to have a proven track record and a comfortable bankroll. It's not enough to just have either. Having a comfortable bankroll includes living expenses for six to twelve months, which is separate from your poker BR, and also have more than enough poker bankroll to withstand typical swings. To have a proven track record, you should have been making enough of a living at whatever games you plan to play over a significant sample size. For cash games, a good sample size would probably be 250,000 hands or more at a win rate that could sustain lifestyle comfortably. For tournaments, I have no idea because I lose money like it's my job at tournaments [laughs]. Once a person begins life as a professional poker player, what are some of the mistakes you've seen experienced people making in the beginning? People assume that things will always go as they do when they first find success. That could mean different things — spending money on things of no value, getting lazy and developing bad grinding habits, or getting lazy and not improving their skills. There are the obvious things like pit games, sports betting, hookers and blow, but most people know by now those are obvious mistakes to avoid. So say you make $10,000 each of your first three months as a pro. You shouldn't assume that it's always going to be like that. You could easily just be running hot or playing better because everything is new and exciting. The less-obvious mistakes are the first ones you mentioned. Because poker changes so quickly, especially these days, staying stagnate in skill is really dangerous. After a few months on the grind, it can become monotonous which can lead to less time put in and/or playing sub par. What advice do you have for that? The best thing for that is to make sure you have other things that enjoy yourself. Don't become a one-dimensional person just because you are successful at poker. Take a vacation once or twice a year where you don't play any poker. Get hobbies that you regularly do outside of poker. Find new ways to motivate yourself like set a goal to make $100,000 to buy something you want. Learn to know when you aren't playing your A-game. No one plays his or her A-game all the time. Just recognize it and quit playing. That's of course easier said than done. It's hard to pull yourself away from the tables, especially when you are down for a session. How did you learn to recognize this in yourself? I hate losing and it really pisses me off. When I felt myself starting to get pissed off I would basically tell myself, “Okay, if I get any more upset here, I am quitting." I'd give myself a chance to settle down and turn it around, but if it went the other way, I'd quit instantly. You just have to be honest with yourself. That is the most important thing. People always think they are better than they are at everything. In poker, you need to be 100 percent honest with yourself at all times. If you are, it's easy to quit when tilted. Not everyone who jumped into poker took the safe advice you suggested. If someone had a proven track record, but didn't handle their success well and went broke, how would you suggest they rebuild? I'd suggest they build a good reputation and network of friends so that they could get staked if they busted, but you should never get to the point where you are busted. If you are close, drop down [in stakes]. That's one thing that so many people are too proud to do, but it makes no sense. For successful players who are building their wealth, what have you found are good ways to branch out outside of poker to continue making money? I'd say starting CardRunners probably. Just kidding [laughs]. I’d really just say don't do anything stupid. That sounds really obvious, but it's really important. Focus on what you know — poker. If you have good, trustworthy friends, you might consider staking, but other than that, I'd just reinvest in your own bankroll and give the rest of the money to a professional until you have enough money to where it's worth your own time to learn investing stuff. That actually may never be the best thing to do because if you give your money to someone else, you can probably easily get 5 percent to 7 percent long-term with no headache. What is the best and worst aspect about playing poker for a living? The best part is freedom-- financial, personal, etc. Nothing else is even close to that in my opinion. The worst is stress. It's a lot more stressful and isolating than anyone who ever hasn't done it will know. Why not sign up for an account on your favorite online poker site and start building your bankroll. And as always, follow us on Twitter for up-to-the-minute news.